Playing dematerialized music on your HIFI system can quickly end in chaos; with the wide variety of streamers, NAS drives, and DACs that are out there, it is easy to lose your bearings, which can be discouraging if you are someone who lacks patience. Today, I am excited to be able to share with you a review of the system I have been “playing” with for several weeks. My goal was to bring together components that give the listener easy yet quality access to dematerialized music at a reasonable price (a little over 2,000 € for the complete system). 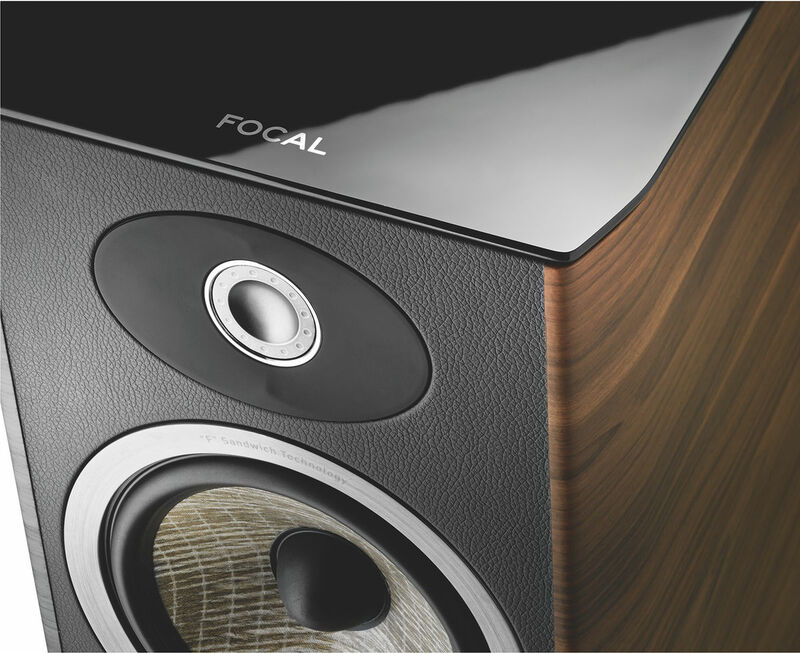 At first glance, this system may raise eyebrows since it combines the “new” with the “old”: brand-new Focal Aria speakers (bookshelf model 906) with Micromega electronics—the company’s small WM10 streamer has been out for 4 years. A model that is reaching the end of its run and that will shortly be revamped, the WM10 also caught my eye because of its attractive price tag (you can find it for less than 500 €). It nonetheless remains easy and intuitive to use and is extremely effective. Thanks to the Qobuz mobile application that lets you play CD-quality (FLAC-format) files using your mobile devices, this streamer has found its second wind. Let me just say right off the bat that I was not at all impressed by the brand’s Chrorus starter models (Chrorus 706 bookshelf speakers). They left me rather cold, and my only memory is that they produced very washed-out sound. Although the Aria 906s resemble the Chrorus in external appearance, their insides are completely different, starting with their flax-fiber membranes (which I discussed in a previous post) and their whole new tweeters. This petite Aria model serves up a true sound signature, one that is rich, detailed, and deliberately soft yet structured. The sound image is open and generous, the tonal details and contours are worthy of a much higher-end (and vastly more expensive) product. These speakers are clearly extremely well refined and, furthermore, are characterized by exemplary finishing work. The Aria 906s truly represent one of the best quality-price ratios currently available on the market. They have an excellent output level (89.5 dB), are a cinch to install, and easily couple with other components. I conducted various auditions using more complex configurations in more open spaces, and the directivity of these bookshelf speakers is a major advantage when it comes to playing back sound in less conventional spaces. Furthermore, I definitely recommend using the stands that Focal designed specifically for this model; they make the speakers completely stable. My only qualm relates to the stands’ aesthetics. Personally, I am not a big fan of the gray aluminum profile, nor do I find the shiny black aluminum base very appealing. However, the speakers’ very reasonable cost (less than 800 € for the pair, plus 200 € for the stands) makes it easier to swallow these minor complaints. This is a sensible, very straightforward match that yields surprising results. Thanks to a Wi-fi technology, the WM10 streamer offers the listener, with the greatest simplicity, the possibility of both playing locally saved music and streaming CD-quality files. Initially designed to handle the iTunes interface, it has shown rather interesting results when coupled with the Qobuz mobile application, which allows you to play your FLAC-format files (CD quality). In order to use the Qobuz application to stream music (provided that you are a subscriber to the service), all it takes is linking your iPhone or iPad to the WM10 streamer using Apple’s simple AirPort Express WIFI base station (99 €) and thus setting up a small-scale local network that allows you to connect to the internet and, consequently, to Qobuz. Your iPhone or iPad will be transformed into a remote control, allowing you not only to play any Qobuz files saved on your device, but also to stream any of the 15 million titles available through the service, provided that you have a high-quality WIFI internet connection. Although the WM10 was primarily designed to be used with Apple products, configuring a local network that involves Window-based products is also possible. However, it is a bit tricky to set up, and you will have to be patient in order to sort through all the tangles. The power of the IA60 amplifier (60W) will meet most people’s needs, given the high output of the Focal speakers. For those who are hard of hearing or whose listening space exceeds 30 m2, it will suffice to ramp up the power a bit, using the Micromega IA100 amplifier, for example. You can always round out your electronics by adding the brand’s CD 10 player, a product that is well made and of good quality, even if its elegant and thin drawer seems to me to be a bit flimsy and may not withstand the test of time. Enthusiasts of high-definition files (i.e. Studio Masters) will want to take a different course as said files are incompatible with the WM10 streamer. 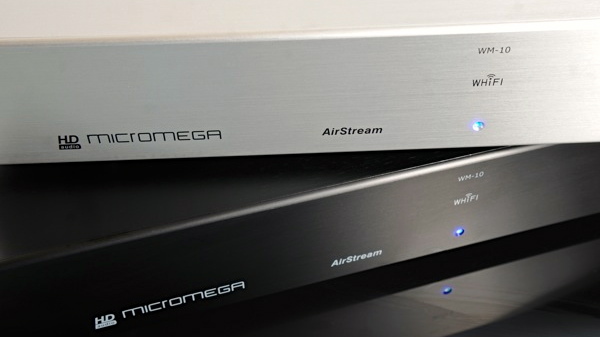 Micromega’s remarkable integrated amp-streamer, the AS 400, will meet the necessary requirements, and it offers the same ease of use combined with an incomparable level of definition (I will try to audition it for a future post). 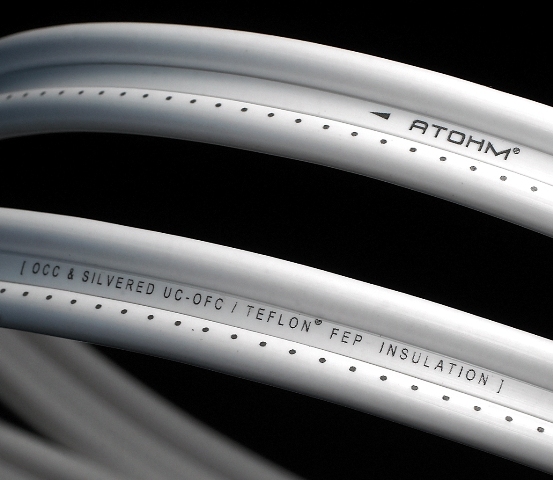 Speaker cables: I would recommend using, for example, the mid-range cables produced by Atohm (ZEF Speaker). The paired, high-quality cables are dressed in an elegant white layer of insulation and are very well made. This product offers extremely satisfying results given its price tag, and I like its neutrality (which is Atohm’s hallmark). These cables are thus a smart choice here. The sound landscape that is created by this system is rather remarkable, and it is almost disconcertingly easy to use Qobuz with the WM10 streamer. The result is delightful, and this is a system that will allow you to make real inroads into the world of dematerialized HIFI. The cherry on top is that it also has the advantage of being relatively open, flexible, and thus upgradeable. For instance, it should be relatively simple to integrate a good CD player. The couple of auditions that I did with more powerful and more demanding electronics only further underscored the warm sound produced by the Focal Arias, which are clearly on their way to becoming a real shining star in the HIFI world, and all for a price that remains incredibly competitive. Thanks for the article. I have just bought Micromega’s IA60 + CD10 and was wondering what pair of speaker to buy to match them. I would not have thought that Focal is a good match for Micromega, as Focals are generally said to be weak on the bass side and low the IA60 is somewhat somewhat light on bass. You did not mention how the Aria906 + IA60 performs at low frequencies. Was it as brilliant as the midrange? 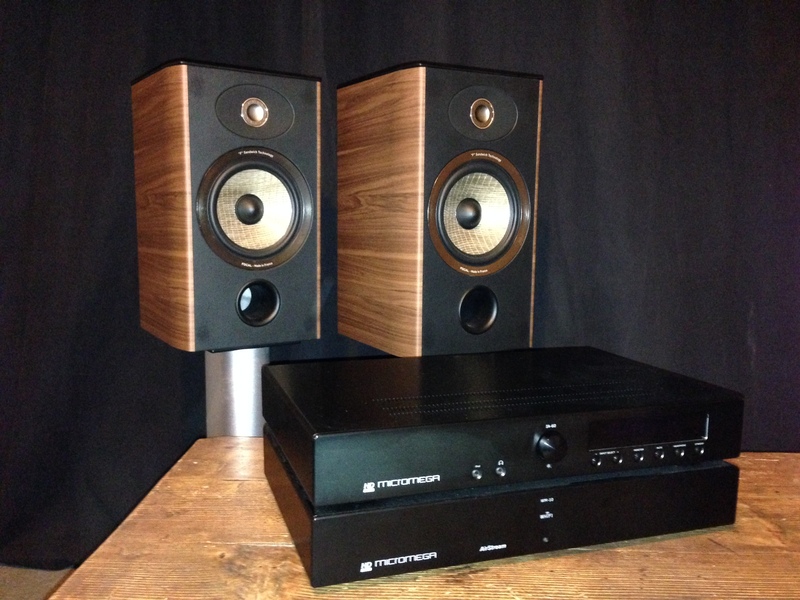 This entry was posted on 28/03/2014 by Aublanc in Coup de coeur, Loudspeakers, Systems and tagged atohm, focal, focal aria, Focal aria 906, micromega, Micromega IA60, Micromega WM10.